Hello friends there is hint of another Google Panda update because most of the experienced persons are looking much variations in their website ranking. Now the thing is that how this panda update will left their impact on spammers. Hint of Google Panda algorithm updates: Most of the Google’s algorithms tracking tools are going up from the last few days and in recent post Barry Schwartz mentioning there was Panda update. Is it true of not but there is some fluctuation in ranking from some webmasters. Google’s Confirmation: But on other hand till now there is news of panda update from Google’s web spam team. Might be there is something else is going on and they are trying to do something like that which will be prove good for hardworking webmasters. Confusion Again: If this news will be true about another panda update then there will be lots of questions to be raise like last year’s penguin and panda update in same time period. So it will be hard to judge this time for numbers of webmasters to know about which kind of penalty on their website between Mobile update and Google Panda algorithm update. But I hope this time Google will not repeat the same thing for raise the confusions. Things To Notice: Has Google fixed another parameters for Panda and Penguin Update because huge numbers of webmasters have one solid question about those websites which are still ranking on the top in SERP even with low quality back links and thin content on their websites. Google’s Guidelines: I am agreed with Google they are right on their place because all things will not set after the few updates to control web spam. If you will look now there are numbers of websites has gone from SERP who are using monopoly to rank their website top in ranking. One thing is sure when you will work with the guidelines of Google then you will not need to scare from anything because you are right doing the right things. Patience: If you are in the field of SEO from long time then I think you know one thing so well which is patience. Get ranking is not the one night game for that you will need to give your 100% to prove and improve your websites visibility in front of others. Beside that no doubt in that if you will deliver quality work then definitely you will earn quality awards. Quality Vs Quantity: As we all know very well now there is no need of numbers of back-links or doorway pages on your websites to stay the customers or readers on particular website. Instead of this when you will have enough information on your website then you will see how clients will give more importance to you and your site in future. Webmaster’s Expectations: There are lots of expectations from coming panda update lots of webmaster are want to see one thing they don’t want do compromise with spam sites. 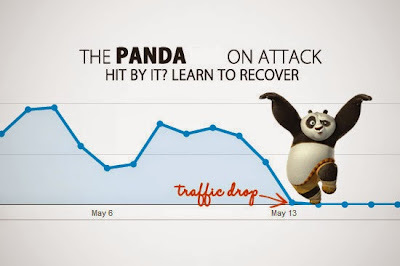 Numbers of Search Engine Optimization experts wants to see totally different panda update this time, because lots of spammy tricks are still working for spammers. Conclusion: There is lots of competition in online marketing but on other hand when you will stay update with the all kinds of moments about your field then nobody will beat you. You should always ready to learn from your mistakes in life.